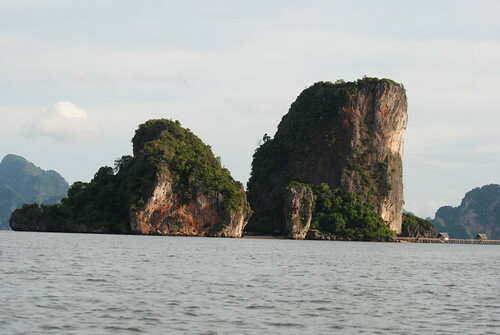 Traveling to the James Bond Island in Thailan, Two island located off the coastingof Phuket which called with the name of 007 spy. Khao Phing Kan or Ko Khao Phing Kan is the common name of two adjacent islands lying on the west coast of Thai Lan country, in Phang Nga Bay, under green of Andaman ocean. This destination not only is famous for stunning beauty but also refer to as “James Bond Island” because of associated with this famous movie. In ThaiLan language, Khao Phing Kan means “dense mountain” which set to say the natural topography of two islands. In 1974, James Bond film seek new destinations for the handsome spy who has luxury life. Finally, Khao Phing Kan had been chosen and the scenes in the film The man with the golden gun which was opened for people who enjoyed the film the concepting about tourist paradise in Southeast Asia. After appearing in the movie, the citizens and visitors more become acquainting and enjoyed with name “ James Bond Island” than original name of island and gradually fogot it. It is not far from Phuket paradise tourist, visitor can arrive to the this coast. 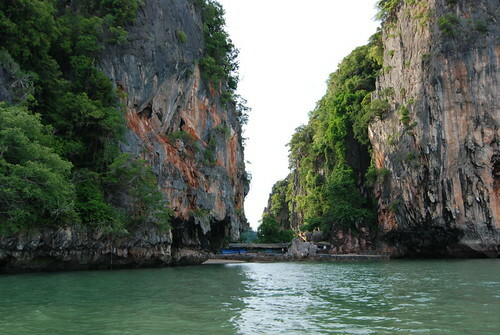 Khao Phing Kan include two islands with steep slopes, it covered by green tropical forest. The island possessed terrain with abundant green forest, white sandy and few wild caves. Sea water is pretty shallow and blue sapphire color, we can see the sea’s bottom. This entry was posted in Asia, Asian Travel, ThaiLand, Thailand Travel and tagged James Bond Island in Thailan, James Bond Island in Thailand on August 3, 2014 by atravelhotel. The Best luxury Top 10 hotels in Bangkok by A travel hotel blog (best rates, reviews, photos for top 10 best hotels in Bangkok). There are tennis and squash courts, jogging tracks, 393 Rooms, 16 Floors, Restaurant in Hotel, ATM/Bank, Mini-Bar , Kitchen/Kitchenette , In Room Broadband Internet Access,…. 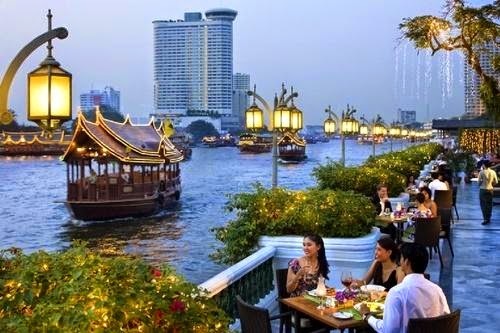 Royal Orchid Sheraton Hotel & Towers, Luxury hotel in Bangkok, Thailand. 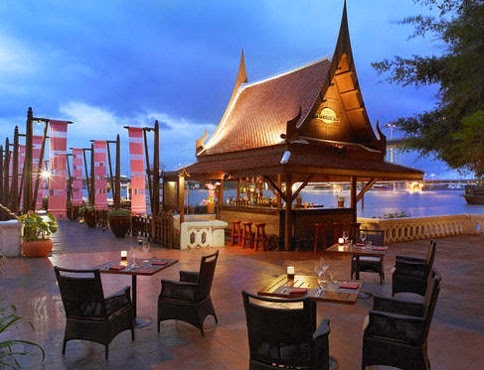 This entry was posted in Asia, Hotels in BangKok, ThaiLand and tagged hotels in BangKok, Top 10 hotels in BangKok on January 15, 2014 by travelgude.